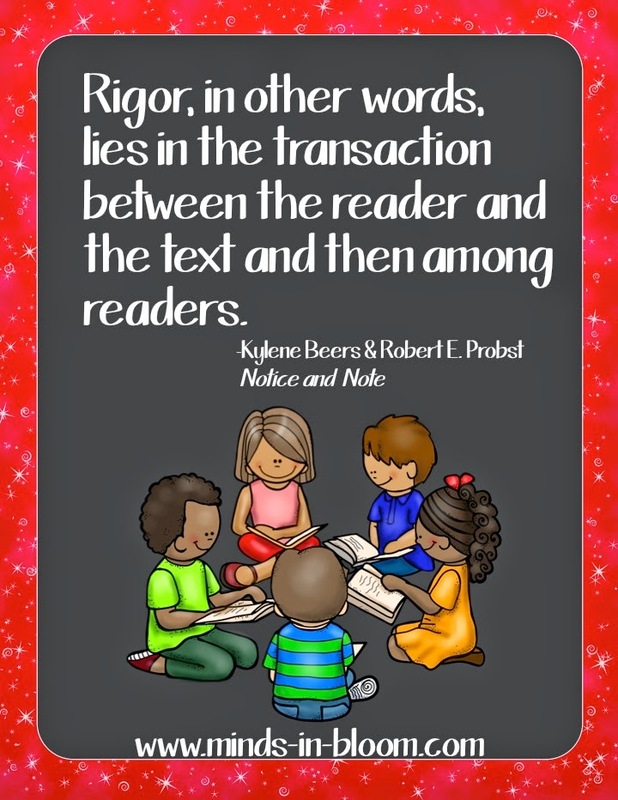 The title of this post (It’s Rigor, Not Rigor Mortis) comes from a subheading in the book, Notice and Note: Strategies for Close Reading by Kylene Beers and Robert E. Probst. I love this subheading because it speaks to what so many fear will be the outcome of close reading: the death of the love of reading in our students. And it certainly could be. But it shouldn’t.According to the authors, the rigor isn’t in the text itself. Forcing students to slog through text that is way above grade level is not the point (and in fact can reduce rigor as students are just trying to get a bare-bones comprehension of the text rather than a deeper understanding). Rather, “The essential element of rigor is engagement.” How cool is that? It is what we do with the text that matters. What questions do we ask, and more importantly, what questions do our students ask? When we help our students to dig deeply into the text – to make inferences, to consider different points of view, to explore the structure of the text, to form their own opinions and so on, that is rigor. And it is engaging. And it can be, dare I say it? Fun! So, what do you think of the authors’ definition of rigor? And is that definition different from how rigor is defined at your school? Please share with a comment. Looking for other bloggers’ thoughts on Notice and Note? Check out this link up at Dilly Dabbles. I really like the quote and the idea behind it. I like the idea of measuring rigor based on engagement of students. I STILL,however, fear we will turn kids off to reading. I love this post! It makes you sit back and really think about the word so many of our schools and counties throw around….rigor! In my mind, probably due to the way it is used at my school, rigor means working kids to the bone, and when they cry, work them a bit more (okay, slightly dramatic, but you get my point). I like "this" definition of rigor much better. This is something I will take to my fellow teachers and discuss. Thanks for sharing. I couldn't agree more. I find that the success in close reading comes from a combination of higher text complexity and discussion amongst the students, whether directly or through notes to each other or another method. Students discover so much from each other and allows them to truly engage in their reading. It has been my experience that students struggling to understand a text are not able to engage with the deeper experiences that come with analyzing it. One of the comments I treasured hearing in my EOY student reflections was, "I loved learning about the elements of literature. I never knew books had so many layers [of meaning]." Mission accomplished! 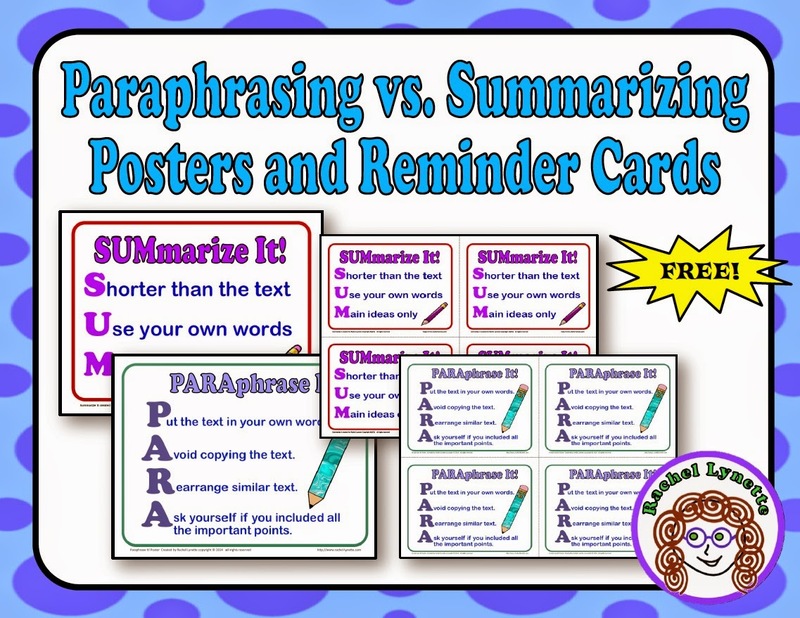 On the other hand, if students only read at or below their current lexile, they won't be stretching their knowledge to acquire new vocabulary and sentence structure, which helps in turn with understanding. So, as with all teaching processes, success comes in the teacher knowing the needs of the individual student and providing opportunities for student choice in reading.